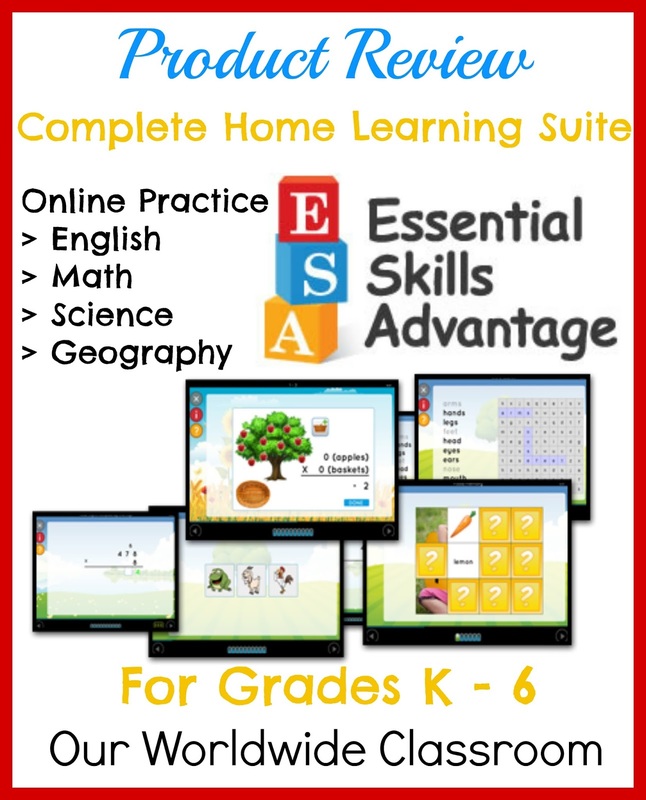 For the past few weeks my younger kids have been brushing up on their math, phonics and spelling skills using the online Complete Home Learning Suite from Essential Skills Advantage. ESA is an online platform for children in grades K - 6. It houses more than 14,000 activities across the subject areas of English, Math, Science and Geography. ESA is a supplementary program rather than a full curriculum, making it suitable to sit alongside any curriculum products you may be using. The ESA program has been developed by a team of experienced teachers with the aim of covering all of the 'essential skills' a child requires to succeed at their specific grade level. The platform is bright, colourful and engaging but does not have any unnecessary distractions on the screen. We have access to the Complete Home Learning Suite, which gives us the flexibility to choose from all of the subject areas across all of the grade levels. This is perfect for a child that may be a bit all over the place because they can work in grade 3 Math and then grade 2 English all at the same time. With two children using the program we've been all over it so to speak. What I have loved the most is the ease in which we can choose the subject area or the grade and then jump between them. We often found ourselves in three different grade levels all in one morning. My youngest loves looking at the reporting area and seeing the green bar rising, showing him how much he has completed in a certain area. Whilst there are no lessons in the program as they assume prior learning it really is a simple way to practice spelling, phonics or even math facts. Each level also has a story time component where the child reads the story out loud and then completes a series of comprehension activities all based on the story. Each story progresses in length and difficulty as you move through the grades. The story component has been a great way to add in yet more read aloud time for my daughter, which she really needs right now. If a tricky word appears, in most cases she can click on the word and have it read aloud to her. Honestly I'm having a hard time coming up with something I don't like about the program. Once you realise that there are no lessons here only review work then it really is very easy to navigate and use. On the odd occasion my kids have complained a little about some repetitiveness in the activities, but overall they are both more than happy to use this program. The one area where I did notice something was that in the spelling activities. The program always lets you know the focus words and then the child proceeds to work on the activities, however the focus words always sit right up along the top of the screen. If the child clues into that they can easily just copy the words needed for their activities rather than having to try and remember them. This is a really simple program to navigate, there are no levels or lessons to complete before moving on. 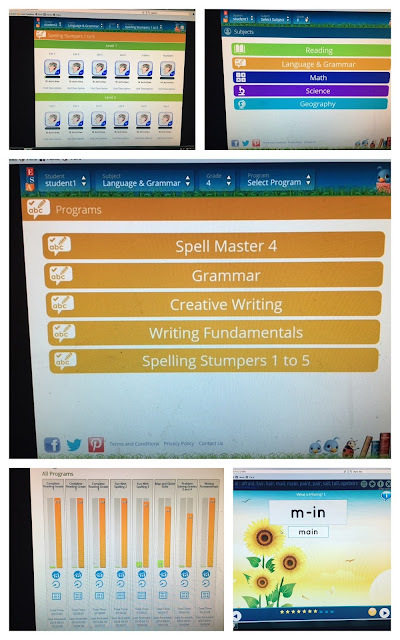 Once you click into a Subject and then the appropriate Grade Level you can see all of the activities available to you. From there you can easily choose what you would like to complete on any given day. The flexibility of the program, the fact that it is purely review and that I can easily check in on the reporting area to see how the kids are going are all bonuses here. Will we continue using the ESA program, absolutely we will for all of the reasons I have listed above. You can get started with Essential Skills Advantage for as little as 7.99USD a month. Visit the pricing page on their website for more details. I hope you found this review helpful. 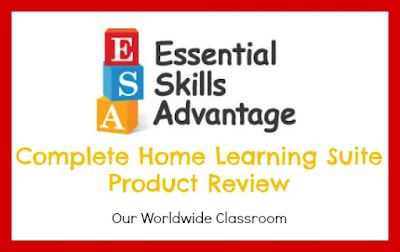 If you would like to see further reviews of the ESA program, from members of the Schoolhouse Review Crew, please visit this link.